This success story is dedicated to Paul Keppel III, Principal Broker of the ProRealty Group in Harrisonburg, VA . Paul was extremely helpful in the leasing process with the SV SBDC and Blossom Spas. Paul suddenly passed away one week after Vunly signed the lease. He would be proud of their achievement. Starting a business is neither an easy, nor a quick process – and if anyone knows this to be true, its Vunly Luangrarj, owner of Blossom Spas in Harrisonburg. Vunly, who is originally from the country of Laos, came to the Shenandoah Valley SBDC for advice and support as she was determined to open her own nail salon. Although she had previously owned successful food businesses in the past, Vunly faced skepticism from family and colleagues who were concerned about her competing in the pre-existing and saturated nail salon market. 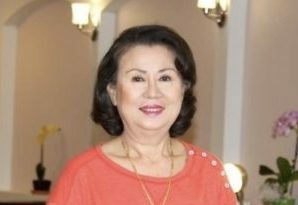 With unwavering determination and support from her daughter Mim, Vunly was able to realize her dream of building a 1700 square-foot full service nail salon within just one year. Along the way, Vunly faced many obstacles; a language barrier proved to be one of them. Proficient, but not yet fluent in English, Vunly relied on the assistance of her daughter and the SV SBDC to help translate and explain important forms and documents. Updated building codes and new regulations for air quality affected the budget dramatically. A local attorney, Jared Burden helped to decipher terms of the lease agreement enabling her to negotiate with the landlord, while the architects from Blue Ridge Design were patient and careful to understand Vunly’s vision for the salon. Just three months after signing the lease, the spa was fully built and furnished with a new ventilation system, pluming, flooring and lighting.